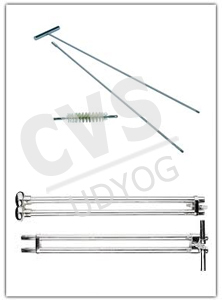 CVS 134 Cattle probang spiral wire in plastic jacket Metal mounts and Stillete. 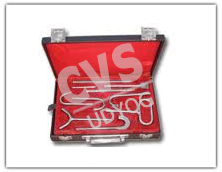 CVS 136 Trocar and canula metal handle. Small / Large size. CVS 137 Bull holder with thumb Spring. CVS 138 Bull Nose Punch. 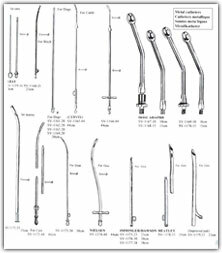 CVS 139 Clipping Scissor Curved Blade and crank bent s.s.
CVS 140 Thygesen's pattern embryotome complete with Wire saw. CVS 141 Bull Nose Ring Stainless Steel - 3"
CVS 142 Bull Nose Ring Aluminum -	3"